”Just to let you know that I will share the James Watt Automotive Porsche at Jarama with Wolfgang Kaufmann and Peter Cook,” says Paul Daniels. Peter Cook comes off a good finish in the recent Britcar 24 Hours, while Wolfgang Kaufmann has had a “frustrating season”, his drive in the Luca Moro Porsche, in FIA GTs, having ‘evaporated’ recently. 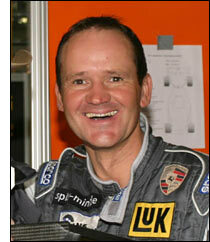 “I’m very happy to be driving Paul’s Porsche, on Dunlops,” says Piranha, who knows Jarama very well. 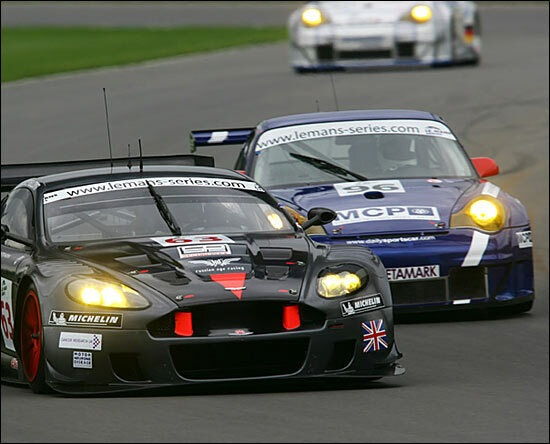 Kaufmann has a possibility of racing a GT1 car in the last two races of the ALMS, the first of which, PLM, is six days after the Jarama race. Here's the JWA Porsche at Donington Park, following the Team Modena Aston Martin.